Home >> Your Postpartum Questions Answered! The first weeks postpartum can bring about a lot of postpartum questions. While those initial weeks postpartum are extremely magical and challenging all at the same time. I know how hard it can be to navigate your way through this stage with the postpartum hormones, body changes, breastfeeding and sleep deprivation. Over the past 15 years of working with postpartum clients and going through this 3 times myself, I wanted to share with you some of my tips that can help ease you into this new stage of your life! 1. ENJOY the bonding time with your baby! Even in the midst of all the chaos, sleep deprivation, body changes and the fog of hormones, enjoy the moments with your new bundle of joy. There is absolutely nothing wrong with asking for help! In fact, I recommend setting this up ahead of time with a friend, family member or even hiring yourself a housekeeper to help clean your house as this can help minimize your stress level and allow you to enjoy bonding time with baby. It also gives you more time to rest, recover and adjust to life as a new mama. 3. Begin some Mindful Movement. This is movement, not exercise, and should be minimal. You can start by strapping your baby to your chest, lightly activating your deep core and walking around the block or your house. This movement applies to you whether you have had a vaginal or cesarean delivery; just note that if you had a cesarean delivery, you might need to wait a little longer to start doing this movement because you need to allow time for your incision to heal. 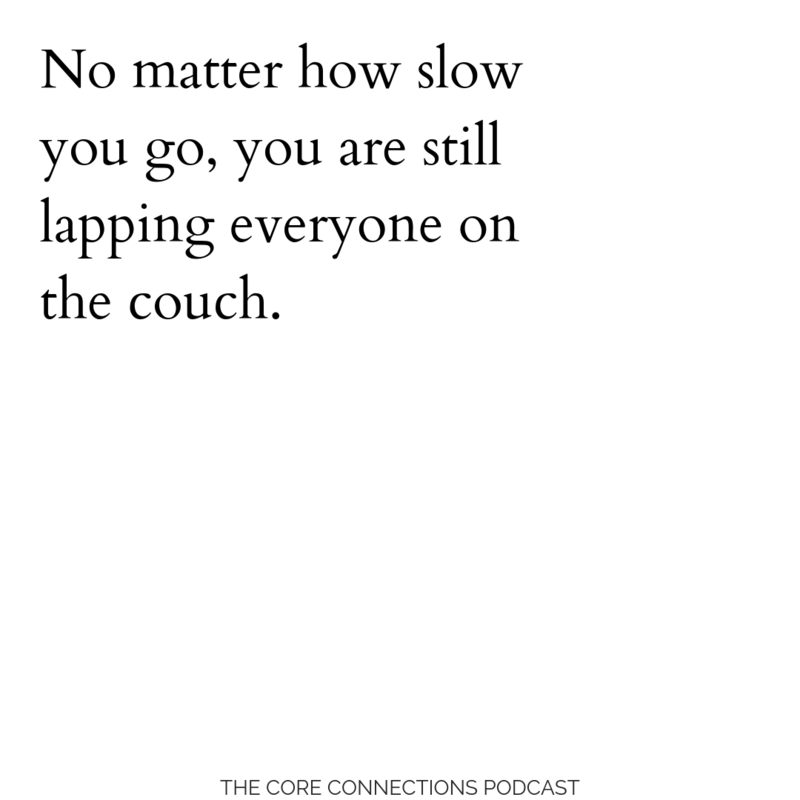 Listen to your body and go as slow as you need to. This movement can help your body relieve some of those aches + pains and begin its road to recovery. Listen to this episode for all my other details + tips I share! These are 3 movements that could help your recovery, including recovery of your pelvic floor and of course, your deep core. 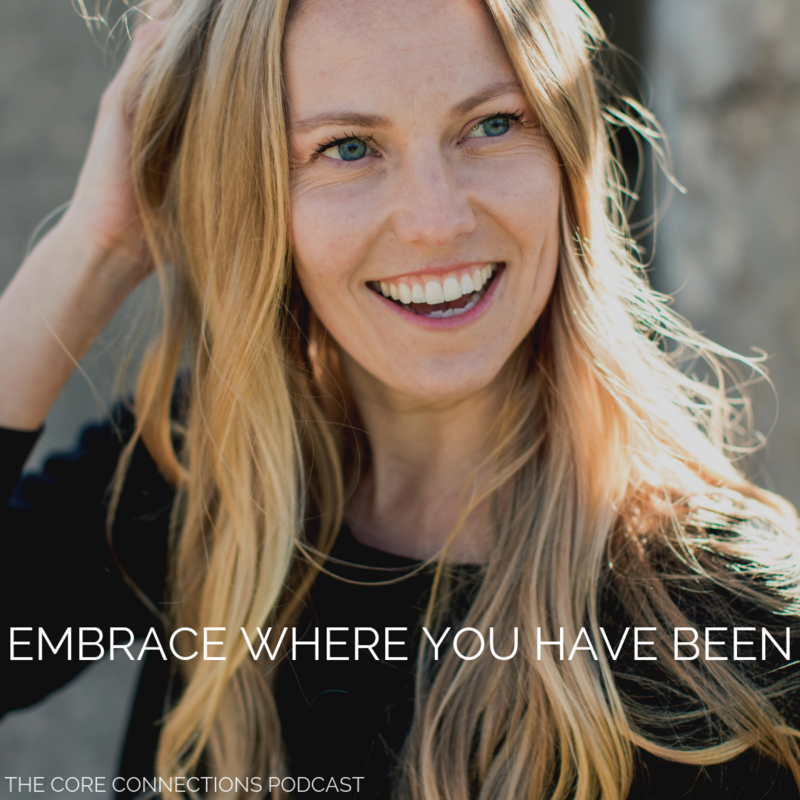 Ready for even more (including things you can learn and implement into your life in those first weeks postpartum) check out Core Rehab for more! Pelvic Tilts. These are great for beginning to awaken your deep core and also feel so good on your hips and pelvis. Inversion Work. Put a pillow under your hips and allow gravity to help draw the uterus back up into the pelvic floor. This can help pelvic floor prolapse symptoms you may be experiencing as well. Hip Rolls. These are amazing and will really help you begin to stimulate your deep core. Keep your range of motion small. You may not feel any activation in your deep core at first and that is absolutely ok!! Your recovery is a journey and will take time for your bones, skin and your body to move back into its original position. Embrace your body because look what you just made! Watch the video below to learn how to check for diastasis recti. I encourage you to wait at least 10 weeks before checking but don’t worry, the exercises listed above are safe for abdominal separation! Make sure you are getting enough good, healthy fat in your diet, especially if you are nursing. Eating a healthy diet to keep you going and staying hydrated plays a huge role in how you feel. One tip I always give to new mamas is every time you sit down to nurse, drink two cups of water. This can help you stay hydrated and keep you going day after day! Make sure you are talking with your doctor about supporting your adrenals. This is especially important as you become more sleep deprived. There are a lot of great natural supplements out there that can help give your adrenals the boost they need to help keep you going. Don’t be afraid to bring this up with your doctor! Be patient with your body and show yourself grace, love and compassion through this beautiful chaotic time. Don’t compare yourself to anyone else because everyone’s bodies are different. Embrace each day and know that you will come out on the other side empowered! I have been so inspired to help more and more women upgrade their life and have the opportunity to get their body confidence back after having babies that I just knew I had to reach more women and that’s why I created my Core Rehab Membership. My membership is full of life-changing tips and techniques that women from all around the world have been able to heal diastasis recti, eliminate incontinence, prevent aches + pains all while rebalancing your body. My foundational elements are scientifically proven to maximize results! 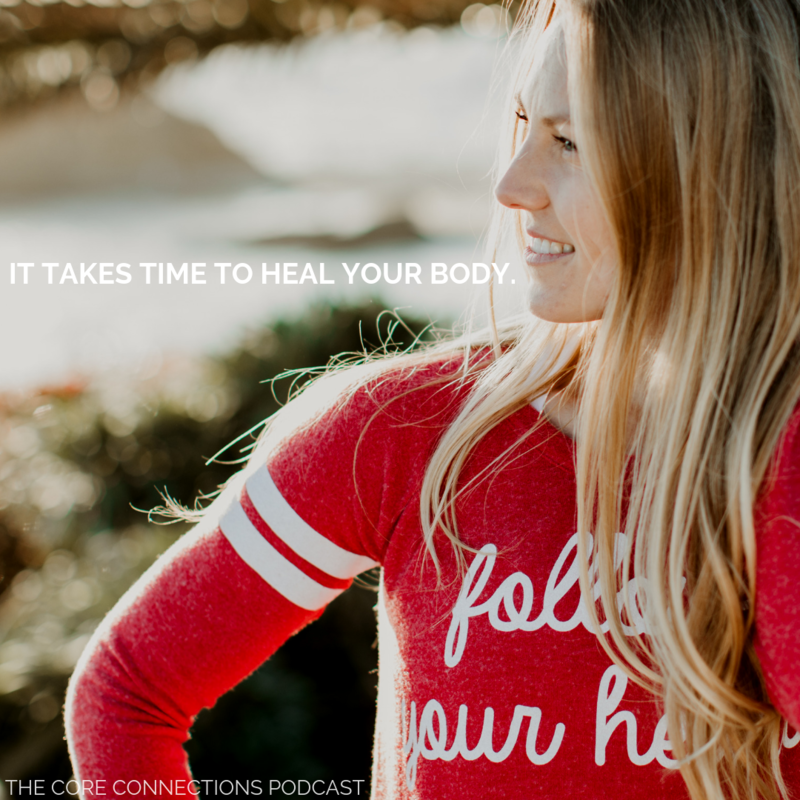 If you liked what you read today and want to learn more, give yourself permission to rejuvenate your body and begin your Core Rehab Membership today! !